← Renault–Broken window winder–Dealer ripoff! I bought this machine because it met a number of criteria, reasonably powerful (2 * Xeon E5620, 38Gb RAM, support for plenty of storage), tower case setup, and not too expensive. I was surprised just how much used enterprise kit you can get for a few hundred pounds on EBay! However, it had one issue, it still far too noisy to use in my home office, where it was going to be placed just a few feet away from where I work. I’d previously looked at a DL160 G6, but the noise from that was horrendous. To be fair it is designed purely for rack / data centre use, where noise would not be an option, and I’d hoped from what I read that the ML350 would be a lot quieter. It was certainly quieter, but not enough. I wanted something that would not be a distraction when I was trying to work. When I tried the DL160 that had 6 internal fans that generated a lot of noise, but the loudest of all was the fan in the PSU. I noticed that the same PSU in the ML350 ran almost silently, I presume that this is because of extra space for ventilation around the PSU in the ML350 case allows the PSU fan to run at a much lower speed. Looking inside the ML350 I found that it was fitted with 3 120mm fans, with space for a 4th, and these were making all the noise. I checked out the temperature and fan speeds using the ILO 2 on the system, and it showed that the 3 fans were running under no load at 25%, with CPU temps at a base 40C. So, first steps were fairly standard, I removed the CPU coolers, cleaned the CPU and cooler surfaces, and put new good quality thermal paste on. I also got a 4th fan to fill the empty fan slot. With that done, ILO 2 showed that the 4 fans ran at 21% under no load, and the CPU temps still ran at 40C. However when under SETI load what I found was that the fans stayed at 21%, and only 1 of the CPU temps moved off 40 to 45C. So, 4 fans and some decent thermal paste are worth doing before anything else, and this does reduce noise a bit. Although the 4 fans running at 21% were a little quieter than 3 running at 25% it was still much louder than I wanted, so I decided to look to see if I could replace the stock fans with quieter replacements. 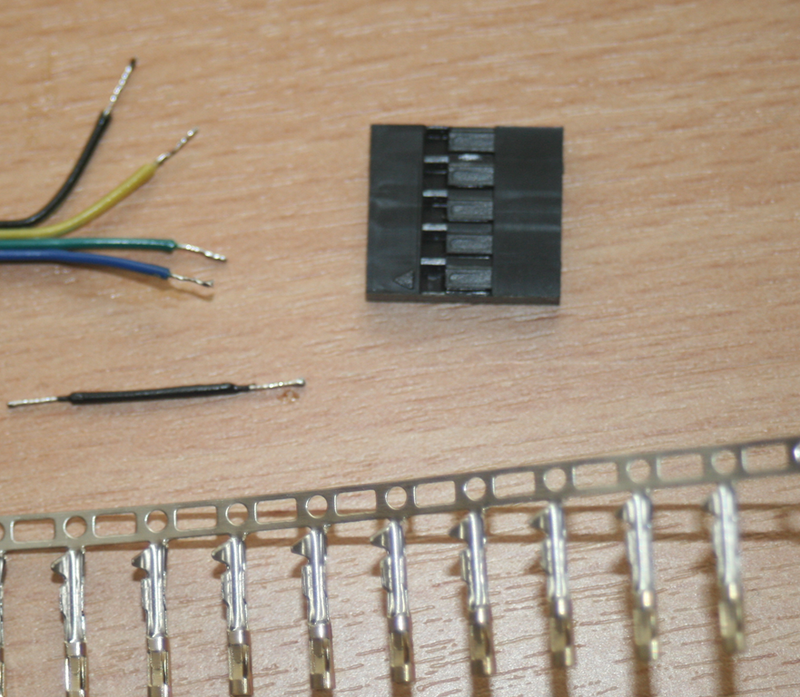 This however is where the fun starts, below is a picture of the 5 pin header on the original fan, compared to a standard 4 pin header on a PWM fan that fits most standard motherboards. 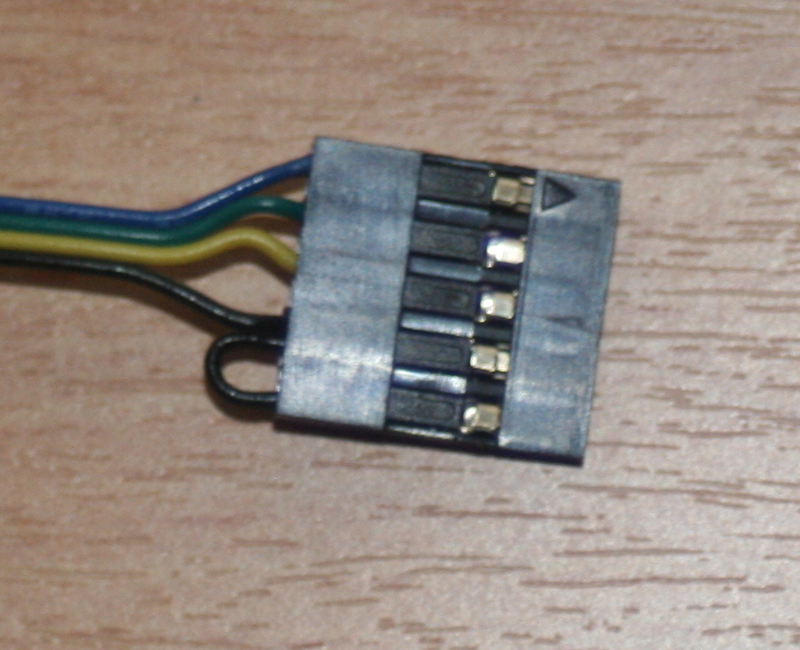 After some googling around I found one site that suggested that the fans on an earlier ML series machine (which had different coloured wires) was in fact still using PWM and speed sensing the way a standard fan does, and that the two blacks are just linked together. A quick test with a meter confirmed that the two blacks are just linked together, so I got a simple 5 pin connector, and rigged up some wires from the standard 4 pin header, to the five pin, with the blacks connected together, and used that in place of the number 4 fan on the motherboard, to see if it would work. The motherboard recognised the standard fan, and the fan speed increased / decreased along with the other three during the boot process. So, next step was to get some quieter fans, and make some decent connectors to link them to the motherboard. I opted for some fairly economical Artic F9 PWM fans, nice and quiet, and fairly cheap to boot. I also bought some DuPont crimp sockets, and 5 pin header plug housings to make the new connectors with. This is the Artic F9 alongside the stock fan removed from it’s housing. You can see the clearly visible smaller motor housing, which increases the space for airflow, allows the fans to rotate slower, and decrease the amount of noise generated per cfm of airflow. So, having got the bits the first step is to cut oof the standard header of the new fan, strip the cables back a bit, tin then, and get the crimps and connector block ready. 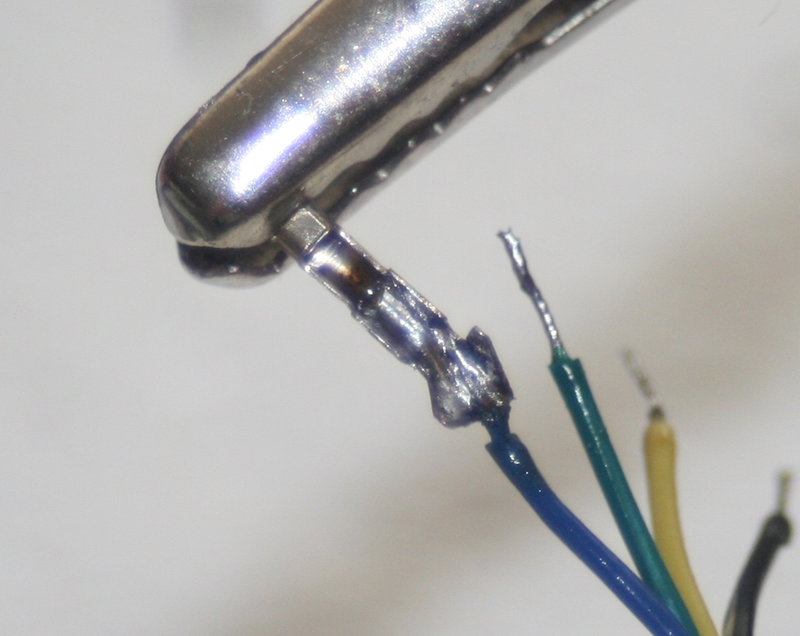 The crimps need to be soldered on to ensure a good quality connection, hopefully your soldering is nicer than mine! 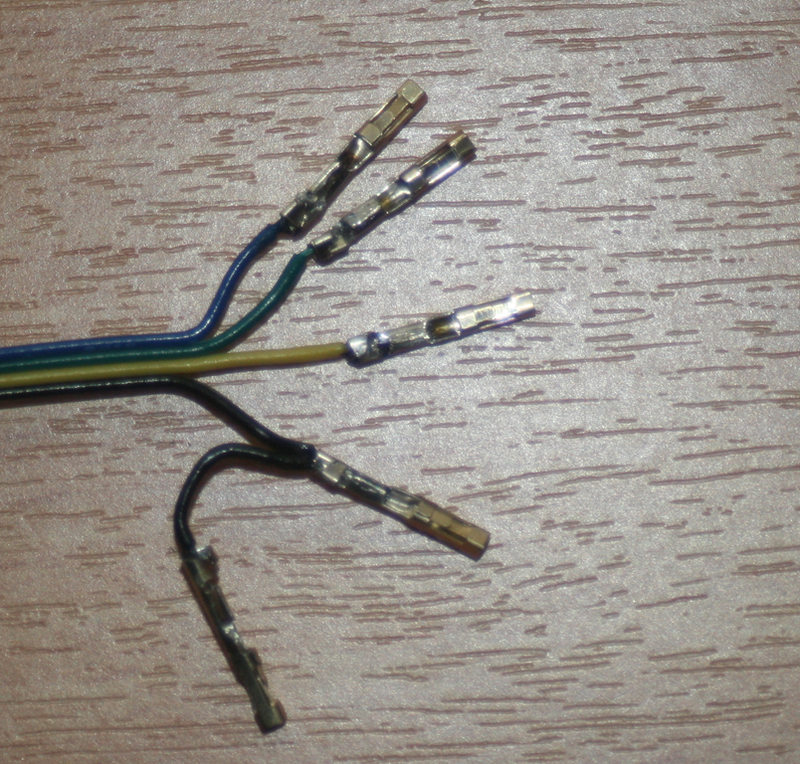 Fold down the top edges of the crimps, and repeat for the other wires, remembering that you need to link the black together to make two crimps. Once those are all ready, just mount them into the new header. And that’s it, ready to install. When installing you need to note that the new headers don’t have the slots like the old ones to ensure that you put the connecter the right way around on the motherboard. So, when you do it, take the old connecter off noting which end has the two blacks before putting the new connector on. Also, make sure you take a note of the fan airflow direction, you need to make sure that you’re still pushing air in the right direction. Once I had replaced all 4 fans on the ML350 I again tried a SETI stress test. Again, even with both CPU’s maxxed out the fan speed stayed at 21%, CPU temp only increased a little on one CPU, and ILO 2 reported everything healthy. But, best of all, it was running whisper quiet. I literally had to put my ear to the back of the unit to hear the fans / airflow. At this point I’ve been running this configuration 24-7 for a couple of weeks without any issues. Obviously, I have to say, this worked for me, but it does involve some messing with your unit, and fitting non OEM parts that you have fitted new connectors to. If you not happy doing any of that, and risking that it may not work on your machine, then please do not try this! Good blog, looks like I’m on the same path with upgrading the fans. Just wondering, would you be able to put a couple of photos up on how you managed to mount the fans not having the original blue sockets? Or did you have them all 4? I had all 4 original fans, so it was just a case of removing the old fans from the case and pushing the new ones in. If I put in BIOS fan speed at Maximum Cooling, the fans are not spinning at all! The server overheated and turn itself off after just 30 minutes. I replaced one back with the original but after 1-3 hours turned itself off again. In the end I had to replace 3 of them back with the original ones as they ramp up so quickly when required and passing through so much air. The Noctuna are quite nice much more quiet than the original ones but indeed they don’t ramp up enough when required. Server specs : 2 x Xeon 4 Core Hypertreading, running VMware with 5 VMs. Definitely no issues now, I’ll just have to put up with the noise I guess. Was a good try and not too expensive. I had similar issue with my Noctua NF-A9. So I removed pwm pin from connector, and they starting spinning at the maximum speed. For me it was too noisy and I added Noctua Low Noise Adaptor. everything is perfect now. Thank you for your answer. I will try to replace 3 of those noctua, but anyway, noise is like a jet taking off. Sometimes, when heat somehow build up in some corner of the server, or I open some program, the original fans suddenly spin up for few seconds to MAX RPM. When I am working in the middle of the night, every member of my family can hear that, and it is disturbing somehow. I found, the the biggest problem of the original fans are the motor, which is much powerful than needed. Actually, the original fans are good for extreme conditions, not normal house, or Data Center. I wonder if there is a gold balance fan, which will be enough to cool this server and noise produced. Actually, the problem is not that 1600 RPM is not enough, but the fans just stop spinning when server need more ventilation. If the fans will remain active at 1600RPM it might be enough, and not overheating in 5 minute on prime95. So, maybe it exists some fans, which are not spinning down when you put some load on them. I am from Europe, and just yesterday received those fans from Amazon. Obviously, return is impossible so I must sell them somehow. Buying other 4 fans and shipp them to me will take ~1 month. If you are from US, can you try some other fans please? At least for sure not from Noctua. Seems that Noctua is not fully compatible with the server motherboard pwm signals. As I sit here listening to the non-stop hum of my ML350 G6 in the next room (which I’ve dealt with for ~5 years), I was at first excited by the successes Greg had. But now that I read other comments about the fans shutting down, I’m not so sure I should attempt this. Do any of you know whether it’s the difference in fans (Greg’s use of Artic vs. D’s use of Noctuna), or difference in CPUs? I’m thinking of trying Greg’s approach, identically, but I’m afraid I might eventually suffer the same shutdown/overheating issue. I can’t comment for the results of others, but I can say that my ML-350 is still running 24*7, runs Server 2012 as a Hyper-V host, and Server 2012 instances for Essentials and Exchange as VM’s under that host. It has twin redundant PSUs, and hosts 6 3.5 drives in a RAID bay, and another 2 SSD’s direct off the motherboard connectors. It’s not highly stressed on a day to day basis by any means, but so far it’s been completely reliable. It’s worth noting that I do run the machine in a relatively cool environment anyway (unheated room in the UK! ), not a hot server room, which reduces the amount of cooling that the fans have to provide. I would point out that if you try this, you’re risking about 30/40 pounds worth of kit, and some time. If it fails, you always have the option to drop the original fans back in. If you give it is go, I hope it works out for you. Hi. Actually found the problem. I am testing the solution for around two weeks and is still running whisper quiet with Noctua fans at 22% while stress testing in Prime95, even with my dual Xeon X5670 which make far more heat that E5620. The problem is one sensor, located exactly under CPU nr. 1, maybe exactly near VRM’s of the CPU nr. 1. So I put one of the Noctua fans to blow exactly there, and voila, 22% under idle, and tha same 22% under full load with prime95. For better cooling don’t use those plastic fames and air baffles. Actually, my DDR3L modules don’t even become warm in stress test. I have to use the plastic frame just for fan nr.1. For CPU Fans, use plastic ties, to install it tight to the CPU Cooler. I used two plastic ties to install the fan to blow on that sensor which become hot, I gues, because is located exactly near VRM’s of the CPU nr. 1. I can’t see here an option to attach pictures, but I will try to send few of them to Greg, so he will post them on his page. For even better cooling, you can put some fans to blow on the Smart Array controller, and one on the Second CPU VRMs. On the label on the server you will see the connector numbers of the fans. I’ve created a new post with your pictures in here https://greghunter1968.wordpress.com/2017/03/22/quiet-ml350-g6-readers-solution/ hopefully it will be of use to others. Hi. Trying to put some pictures here. Greg, please download them and put on your page. Never know when those links will expire. By the way, the sensor which is located near VRMs of the CPU nr. 1 in iLO is named Temp 4: Memory Zone. I use the server like a workstation, render, and some VM’s, also I plan to buy a decent Video Card. That’s why for me is important to be stable at full load without overheating. Also, if you need to use it with a decent video card, there is a place under motherboard, you can connect additional power for video card. Great blog, thnx for sharing! Like the others here, I’m doing exactly this, was looking for a way to place custom fans. The Sensor cooling trick is really good to know! I read people using X5600 series CPU, do you know which motherboard partnumber you have? Have any tested 511775-001 with X5600 series CPU’s? Hi! Revesion of mainboard (A or B) is not essential. You must choose the correct part number of the mainboard. That’s what I read everywhere, but nobody can tell why that is the case. I have the lastest BIOS from 2015, X5600 was supported many versions earlier. The Intel 5520 supports them also. What difference in the motherboards explain this cpu support then? On the HP specs site, nowhere they tell about differences in the motherboards. It’s driving me crazy haha. You can’t see the difference with eyes. The difference is the revision of the chipset as I know. I didn’t heard someone to hack the old revision of ML350 G6 to install a newer x5600 Xeon. As you know, there is no ML350 G7, because the only difference of G7 is support of x5600 CPU + iLO3. So it is easy to understand HP to not make a new ML350 G7, but just upgrade something in the motherboard. Everything else is the same. I heard that it was possible to hack the older HP Z Series workstation to work with x5600 but the difference between server and workstation is too big and I think there is no chance to modify your older revision of ML350 G6 to be able to use x5600 CPUs. It should be a label on the motherboard. Check it and you will see what is your revision. I have the 511775-001 Rev 0B. But I think I’m just going to try it. An E5620 should be the same as a X5670, as far as CPU compatibility of the motherboard is concerned. These CPU’s are the same family/chipset. So if an E5620 works or not, I have my answer for an X5670. An E5620 I can find second hand for as low as €12. Maybe I’ll just try this. Both X5500 or X5600 are no more than 95Watt CPU. Both CPU Microcode MUST be the same, including revision. Actually, both top CPUs for ML350 G6 only difference is that X5600 is 50% more Cores and Cache, and it is 32nm instead of 45nm, have AES Instructions (in case you use encryption at heavy) and support for DDR3L (1,35V) memory instead of 1.5V memory and + 133MHz for X5675. Not too much. But don’t bother to buy top CPUs. An X5660 or X5650 would be fine, because of VRMs and some power regulator mechanism, I can’t get all the times max turbo frequency even for my dual X5670 for all cores at 3.2GHz with Hyper Threading enabled. This is some VRM limitation that can’t get more power. So, don’t spent money for X5675. Buy an X5660 and you will be fine. In case you don’t like Hyper Threading (like me) buy X5670. X5675 will thorttle on big load, so no reason to throw some extra $$. Well, I have tested my 511775-001 Rev. 0B with an E5620. Seems the motherboard does support X5600 series very well indeed. Did anyone get the same issue or anyone how what could be the cause ? How did you wire the new fans up to the connectors for the Motherboard. Could you include a picture perhaps? It sounds like the MB is not receiving the signal that allows it to monitor the speed of the fans. Hi. The problems of other than HP fans are that they can’t understand ALL the PWM signal value from the motherboard. And yes, if you will not connect the 5th wire, the fan will spin, but it will not be detected by the motherboard. Also, you must keep at lower possible fan speen, for example mine running at 22% constantly. If the Percentage will rise, the fans will slow down actually, until will stop. And of course, you will have reported FAN Failure, and server will overheat. So, lower percentage, higher the speed. I have tested this many times, and I still can’t find a fan to not stop at wired PWM signals from the motherboard. But my dual Xeon X5670 are fine under prime95 load, with my Noctua Redux keeping at 22% with video card inside. If you will run the server without the video card, your speeds will be even lower, not all 4 fans at 22% but something like 13%, 17%, 19%, 22%. Actually I have generation 8 (2012) of the hp ml350p. Chris (or anyone) – Have you been successful getting this to work with a G8? Thanks for this post. I was able to get my ML350/G6 setup with Noctuas. I went with 92mm fans since they would be a 1:1 fit into the HP fan brackets. Another thing was that I had tried to use Seagate FireCuda(s) with mine and found that the included raid controller(P410i) would read non-sensor’d drives as being 63C which is a fail condition and all of the fans would go to max. 😦 I replaced the drives with WD Black 750GB drives which worked fine. Noctua Fans/Supported Drives = Gentle Purr @ 25-35db. I miswired one of the fans and it shows as faulted/disabled… but the fans are running at 21% each. Once I get the fans working I’m sure they will drop down a bit more. Thanks for the howto on getting things quieted down. My fans never seem to drop below 21%, even when the system is completely cold (ambient temp 10C), I think it’s their minimum running speed. Thanks for the info on the drives, I’m running the P410i raid as well, with a variety of drives, so far all have been fine. Hi wingtechcorner, your problem is familiar to me, but I solved the problem of high temp sensor of HDD by not installing the HDD in the caddy, but just bought a SAS cable and installing the HDD in the CDROM bays, just by screws. In this case the fans will not go to max RPM. So buy a SAS Cable to 4 HDDs and install it like I said, and your problems with 100% RPM FANS will disappear. Excellent main post. I will be doing this as soon as possible. But Just to let you know I was going bonkers with fans spinning up when adding new drives a while back. I slowly worked out that the drives I was adding were not reporting the temp data via SMART thus the raid controller spinning up the fans. I then eventually found this old post http://dascomputerconsultants.com/HPCompaqServerDrives.htm talking about the issues. I would like to add something here. I get another ML350 G6, but instead of Noctua Redux, i bought Xilence 92mm PWM fans. So those fans are a lot cheaper than Noctua, but just a little more noisy, or let’s say, their noise is just different, but instead of Noctua fans, they are not stop spinning when RPM goes higher. Even setup in the BIOS for Max Cooling, the Xilence fans just spins at their max RPM ~1800. I made the same mod today, just posting my pictures. I actually found the right connector housing which fits perfectly on the motherboard connectors. I also used Arctic F9 PWM fans. I installed 2 today, and will install 2 more tomorrow. With these connectors and the Arctic fans, I was able to reuse the 4 pins from the Arctic fan, and only needed to solder the extra ground (black) GND wire to pin5. Remember to order the pins for the wire also. 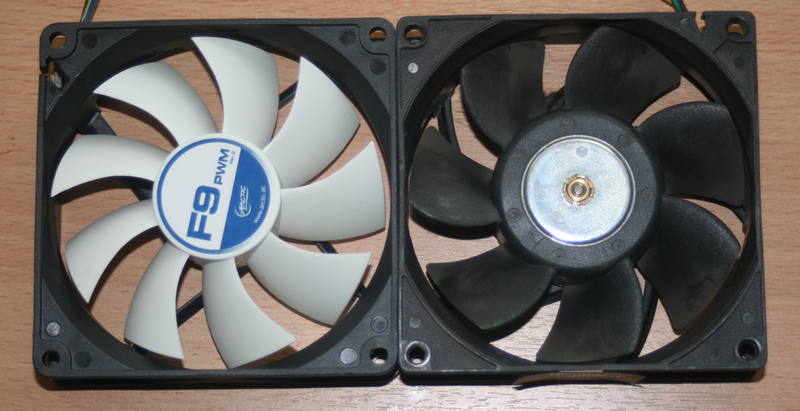 Instead of the original expensive blue fan holders, I simply used the spare plastic fan blanks – I used my Dremmel to cut out a square center section the same size as the new arctic fans, remember to wear eye protection, and then hot glued the new fans in place in the remaining case. What happens if you just cut the green wire off the original fan, I really just want to stop the spin up noise during post. Will be running with the case off. yea lol, so I pick it up in ewaste, get it home and someone jammed the case on backwards, after a few mins of bashing with a hammer the case side is off. I noticed it has SAS drive connectors (6bay) and 6 stand alone sata connectors and a heap of pcie slots XD so now it will be my media PC / disk wiper. I am not fussed if it dies 🙂 my plan is to find a bit of clear plastic I can cut to side and put a LED in the case just for fun, but it doesn’t have a face plate either. when that happens I will possibly put in a few 180cm fans hooked up directly with molex adaptors. OK so I have come up with a Lazy man’s easy way, can make this serve silent with old core 2 duo junk and have a tea in 2 mins soldering optional. grab 2 CPU fans strip the black one down a bit, pull the pin off any old molex, I used a USB adaptor, twist exposed wires together (solder) and tape. plug in the molex with a bit of force stick one fan over the heatsink and one on the ram or heat sensor, bypass stupid fan issue. I am getting crazy about a ML350p GEN8 server. I tried to replace the original fans with Arctic F9 PWM as you did, however the server behaves very weirdly. Randomly the “FANX Failure Detected” message appears. Sometimes even the “FANX Missing”. I short-circuited together the wires behind the cage (pressure sensor / contact to detect if a fan is installed) but to be honest it just behaves as random. Sometimes there are 3 fans error sometimes only 1 (and even then the server will stubbornly refuse to boot, “FAN Solution Not Sufficient”). I followed your advice and it seems to be working … at least sometimes. I just can’t understand what the hell it’s going on. Probably there is also some power consumption monitoring going on on the 12V fan supply (or could it be on GND actually, maybe it checks if the black wire potential gets above a few hundreds of mVolts ?). I even faked the PWM signals with an arduino and it booted successfully … but only once. After that I didn’t manage to make it work. I didn’t change anything about the wiring or connections. I think after each try i need to unplug the PSU cable for a few hours to “reset” (or plug out the CMOS battery). I tried 80mm Arctic F8 and 60mm Fractal Design. Even with the fan connected and tachometer sensor wired properly it just goes random. With no FAN and faked PWM feedback signal it behaves the same. Did you ever have this kind of issue? It’s not easy to debug at all if it’s so random :(. I am recasing mine I have a DL380 g6 that came in the same ewaste batch, having only 1 heat sink. I will swap out the original single xeon 2.6 for dual xeon 3.4ghz and overclock to 4ghz, install a cheap chinese water blocks and radiator. From reviews they are only 8 degs hotter from thier brand name AIOs for all of $30 AUD instead of a brand name coming in at $100-200. Yes the $2-3 water blocks. What chinese water cooling are you using ?? ?